This model is 175 cm and wears a size S. Their chest measures 86 cm and the waist 63 cm. We designed the ultimate comfort cover-up for casual days. 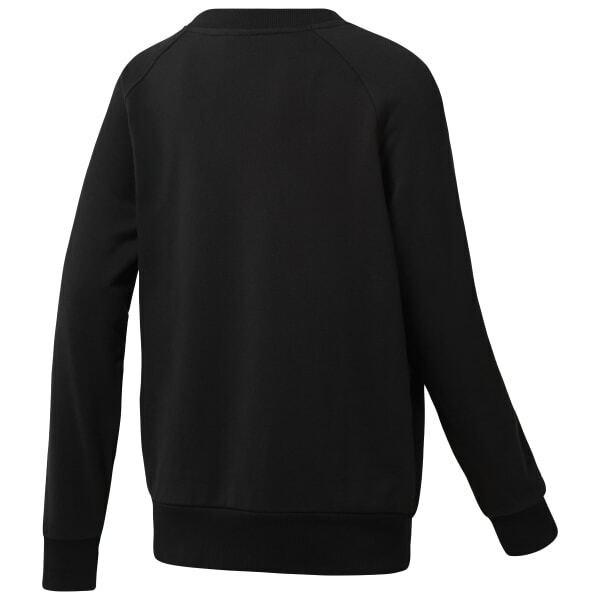 This crewneck sweatshirt will swallow you in its soft French terry fabric. Ribbed cuffs keep the fit secure while you layer up and chill out.